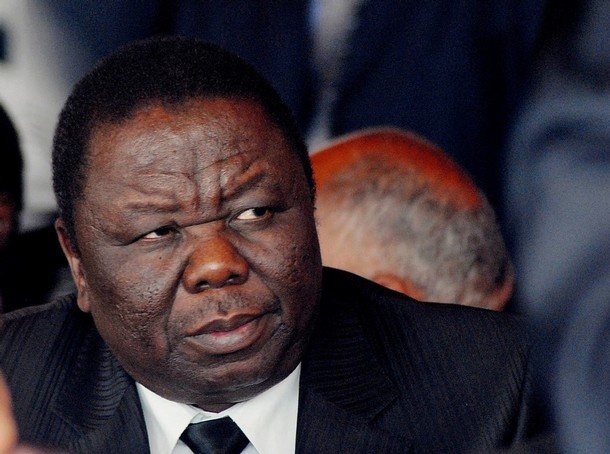 ZIMBABWE – The opinion piece, What is it with Tsvangirai’s voice? in the Newsday Weekender of December 12, 2015 refers. We would like to welcome the above-titled piece penned by one Gift Mambipiri, who is based in Kadoma, for laying down his opinions, which opinions he is perfectly entitled to hold. The only issue is that sometimes opinions may be very much divorced from facts. Firstly, Brother Mambipiri should be applauded for showing concern over what he perceives to be a now mellow Morgan Tsvangirai given the magnitude of the national crisis. That he is concerned about what Tsvangirai is doing about the crisis is testimony that he believes, like many Zimbabweans, and rightly so, that Tsvangirai is the solution. At least his criticism, though laden with imperfections, is premised on the notion that Tsvangirai is the answer to the monumental challenges facing the nation; hence his public wonderment on what has gone wrong with the MDC leader’s voice and influence. Moreso, Mambipiri seems to have serious doubts on the capacity of the leaders around Tsvangirai. While he is entitled to his opinion, he must remember that the team around Tsvangirai in the leadership of the party was elected by the people at a democratic congress. They owe their positions to a credible, democratic process by thousands of MDC members who elected them and no one in the party doubts the capacity, knowledge and depth in the team around the party president. While leaders is other parties are appointed by the party leader as is the case in Zanu PF or are thrust into office courtesy of a convention or some incomprehensible consensus process as in the case of other parties, the leadership in the MDC is a product of a democratic process as we did at the City Sports Centre in Harare in October 2014. Tsvangirai and all the party members have no doubt whatsoever about the wherewithal of the leadership elected at congress. Mambipiri postulates that Tsvangirai is now mellow and has lost his mojo. Nothing could be further from the truth. That his name and the name of the party he leads were mentioned and disparaged 591 times at the just-ended Zanu PF conference in Victoria Falls last weekend shows that those who stole the last election are aware that he still poses a real danger to their mission to oppress, loot and plunder national resources. The MDC leader and the party he leads were so popular at the Zanu PF conference that one would think they were guests at the function. It is a basic rule in political communication that one does not mention their opponent unless it is absolutely necessary, but to mention his name over 500 times shows that those who oppress the people are aware that he is a very powerful brand that remains embedded in the national psyche. Moreover, Mambipiri himself says Tsvangirai was able to mobilise the country’s workers back then in 1988. But the social base has changed and the tactics and strategy must change. If Mambipiri’s opinion piece was meant to elicit Tsvangirai’s strategy for the end-game or for the MDC to come clear on issues of strategy, then the good brother must understand that strategies and tactics can never be issues for public discussion in national newspapers. There is great work going on by Tsvangirai and others in terms of resolving the political crisis in the country. Suffice to say that Tsvangirai is not superior to all other Zimbabweans. The correct question ought to have been: What is it with the voice of Zimbabweans in general? — not to arrogate the lack of national action about the national crisis only on the person of Tsvangirai. Zimbabweans know that there are discussions taking place among Zimbabweans. Two weeks ago, Tsvangirai was one of 12 political leaders who signed up the National Electoral Reform Agenda (NERA), a blueprint containing the reforms that are needed for a truly free, fair and credible election so that Zimbabwe can deal with the crisis legitimacy which is at the epicentre of the myriad national challenges we face today. Mambipiri should be rest assured that Tsvangirai retains his voice and is involved with a convergence platform with other political leaders to see how best Zimbabweans in their diversity can resolve the challenges we face. Last weekend, he was attending a convergence conference where he has been invited together with other political leaders. The crisis has changed in its magnitude and so the game and the rules of engagement must change. One might not want to get into the details of tactics and strategy, but Mambipiri should be rest assured that Tsvangirai has not changed. He remains the same patriotic Zimbabwean with the same zeal and inspiration that he had years ago. And the MDC leader has not been quiet. He has been conversing with Zimbabweans across the country. Only very recently, he was in Lupane, Hwange and Binga in Matabeleland North. He has also been to Rushinga and Bindura South in Mashonaland Central and Chinhoyi, Hurungwe and Norton, talking and conversing with ordinary Zimbabweans on the way forward for the country. Zimbabweans miss his competent hand on the wheel of government and he has been using these engagements with ordinary Zimbabweans to chart the way forward for the country. On Sunday last week, he addressed another rally in Harare and everyone was welcome. So Tsvangirai has neither lost his voice nor is he now mellow. If anything, he is now more shrewd, more experienced and can certainly not be expected to lay down the whole political game-plan in the media. Together with other Zimbabweans and political parties, there are discussions taking place to quicken the pace of the change we all seek. No one is great or small and that is why Tsvangirai is part of a bigger national conversation to end the crisis that continues to torment the people. The game is now a game of new frontiers, new rules and collective national effort. The change we all seek is definitely on the horizon. And, of course, Tsvangirai will be part of the solution. He is on the ground. The social base has changed, may be what worked in 1988 may not work in 2015, forcing us to show our hand. ●Tamborinyoka doubles as the spokesperson to Morgan Tsvangirai and Director of Communications in the Movement for Democratic Change.